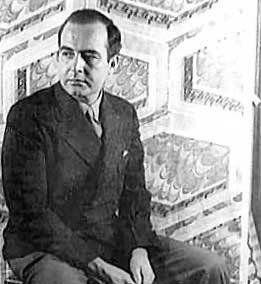 WEST CHESTER – State Senator Andy Dinniman recently recognized the Samuel Barber Foundation and nine other local organizations upon the celebration of the late composer’s centennial birthday. The Samuel Barber Foundation and other organizations have held numerous Barber-related events and concerts through the years. Dinniman recognized the foundation along with the Brandywine Ballet Company, the Chester County Community Foundation, Column Classics, the Curtis Institute of Music, Henderson High School, Longwood Gardens, the First Presbyterian Church, the West Chester University Foundation and the West Chester University School of Music for their contributions in spreading the work of Samuel Barber. Born in West Chester Borough on March 9, 1910, Barber was a renowned composer who wrote several works widely considered masterpieces of modern classical music. His most famous composition, Adagio for Strings, has become one of the most recognizable and beloved compositions, both in concerts and films. Barber’s musical talent became apparent at an early age. He wrote his first musical at age 7, attempted his first opera at age 10 and became an organist by the time he was 12. Through his teenage years, he studied voice, piano and composition at the Curtis Institute in Philadelphia. Barber’s music has been described as at once lyrical, rhythmically complex and harmonically rich. He was twice awarded the Pulitzer Prize for music. Barber died in 1981, but his popularity continues to grow as one of the most important composers of the 20th Century. Barber’s boyhood home still stands on South Church Street in West Chester and he is buried in the nearby Oaklands Cemetery.